In the time it takes between page load and pre-roll play, Tennessee Tourism’s Vacation Matchmaker campaign analyzes millions of data points, such as the type of music consumers stream to reservations for dinner and magazines or newspapers to which they subscribe. The campaign, which targets consumers on publisher sites within driving distance to the state, creates more than 2,000 combinations. 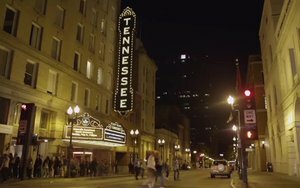 Based on the targeting in place, the campaign has the potential to create thousands of different combinations of videos to personalize each, Kevin Triplett, commissioner for the Tennessee Department of Tourist Development, told Media Daily News. Since the campaign launched on April 1, 2016, hopeful travelers have watched the collection of videos more than 26 million times, nearly 234 hours of video, Triplett said. The campaign will run through the month. Each of the videos include a link that clicks to a landing page where the site visitor can build a custom itinerary and get a chance to win a Grand Prize vacation to Tennessee, worth up to $6,000. The campaign encourages visitors to post pictures on the Web site, as well as Facebook, Instagram and other social media sites. About 12,000 itineraries have been created. Some 93% who created an itinerary indicated they would visit Tennessee in the next 12 months. The Tennessee Department of Tourist Development has measured a 46% increase in online traffic to the Web site since the Matchmaker campaign launched. VML created the campaign, partnering with Spongecell for the technology. Rather than seeing a tourism ad that tries to appeal to everyone, the site visitor sees a custom vacation video created just for them. The technology -- which uses Web tags to analyze cookies, and scans searches and purchases -- follows the site visitor's electronic footprint follow music track downloads or online visits to a clothing store. It also scans hundreds of eight-second video clips of Tennessee activities to create and edit a commercial perfectly matched video that appeals to the viewer's interests. The campaign supports geo-targeting to ensure the attractions the site visitor sees are within driving distance of their home.